These sloppy joe sandwiches are perfect for family lunches, dinner, or parties. 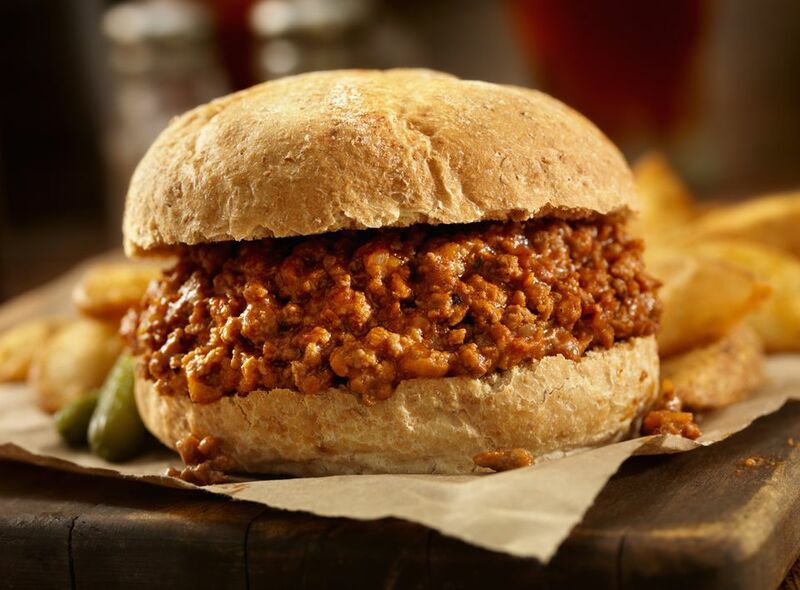 For a party or tailgating event, serve the sloppy joe mixture hot from a slow cooker and have buns, plates, and napkins available for guests. This sloppy joe mixture would be great with slider buns as well or serve it over rice or cauliflower rice for a low carb option. For a delicious family meal, all you need to go with the sandwiches is chips or fries and a side of coleslaw. Cook the ground beef with onion, salt, and pepper until beef is no longer pink, stirring frequently to break up and brown evenly. Sprinkle flour over beef; stir to blend thoroughly. Add Worcestershire sauce, ketchup, and water. Simmer, stirring often, for 15 to 25 minutes, or until thickened. Serve the sloppy joe mixture with toasted sandwich buns. Use about 1 pound of lean ground pork or sausage with 2 pounds of beef. Add 1 chopped bell pepper, red or green. Add 2 teaspoons of chili powder to the meat mixture. Add 1 can (14.5 ounces) of diced tomatoes for a chunkier sauce.